A pair of Lesser Goldfinches (female above) has been visiting the garden lately to feed on rainbow chard. 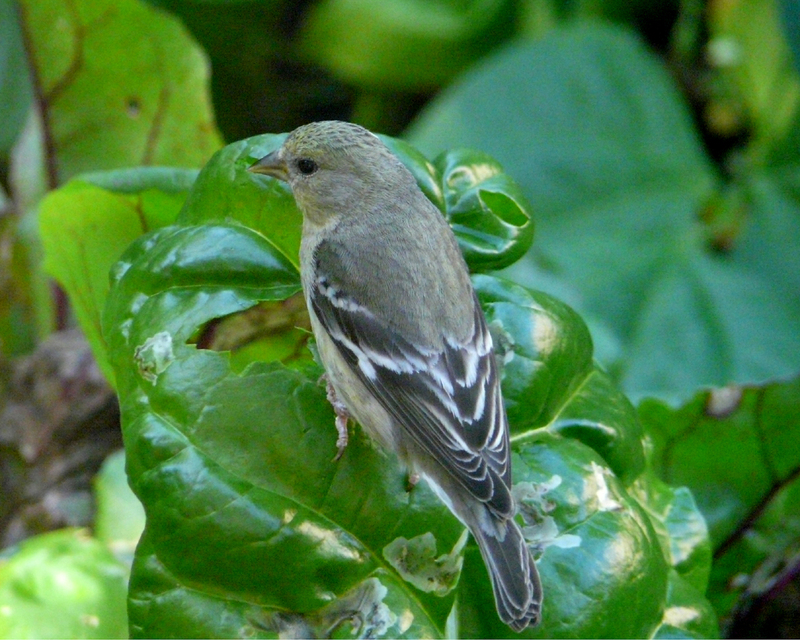 Goldfinches eat a lot of foliage, in addition to seeds and buds. This vegetarian diet makes goldfinches poor hosts to cowbirds, whose young require plenty of insect protein to grow and thrive. 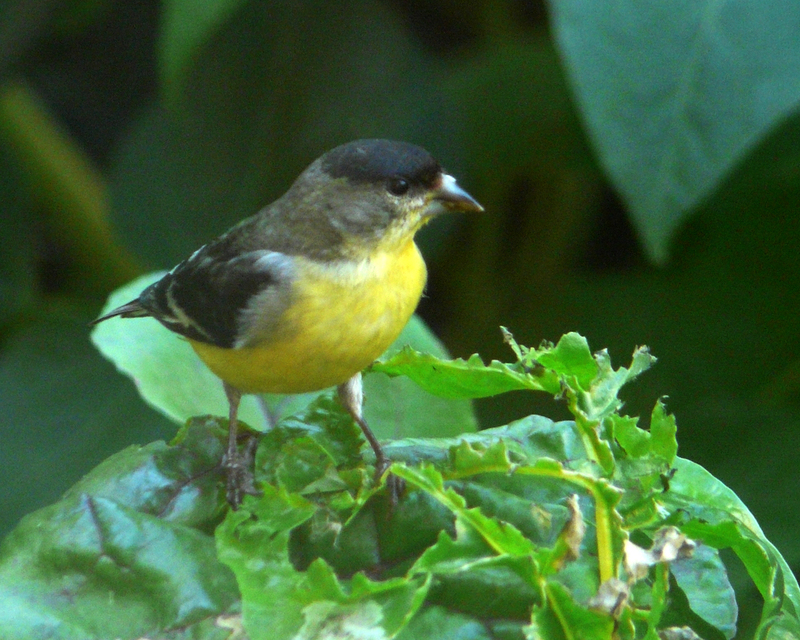 This entry was posted in behavior, species profile and tagged Lesser Goldfinch. Bookmark the permalink.